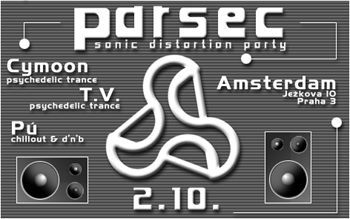 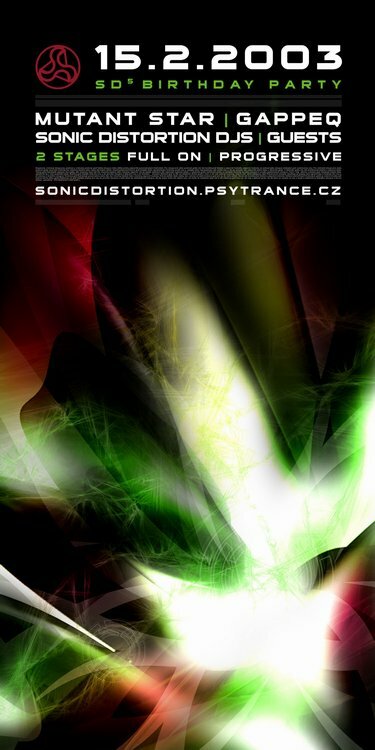 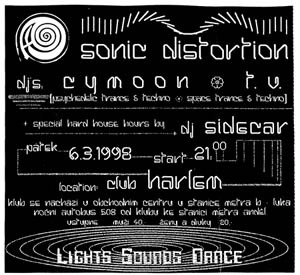 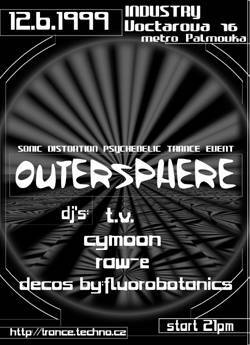 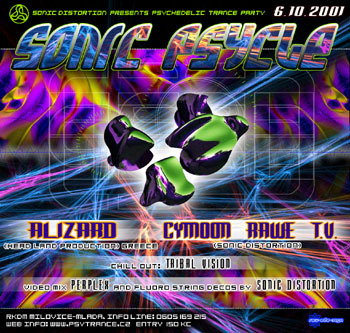 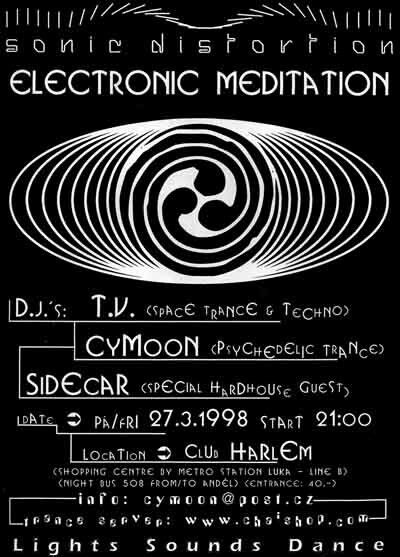 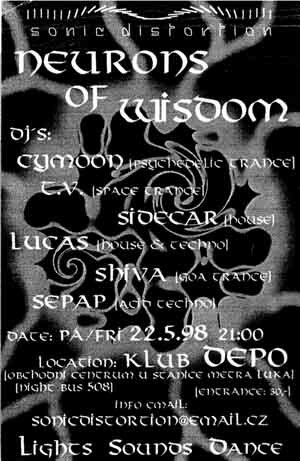 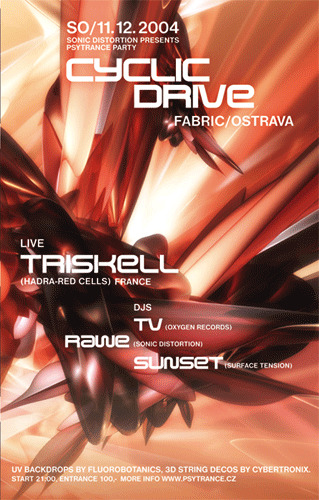 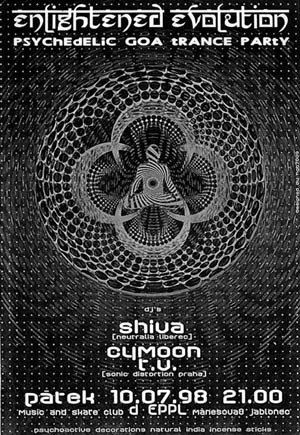 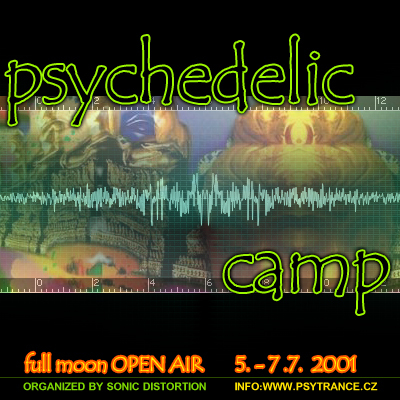 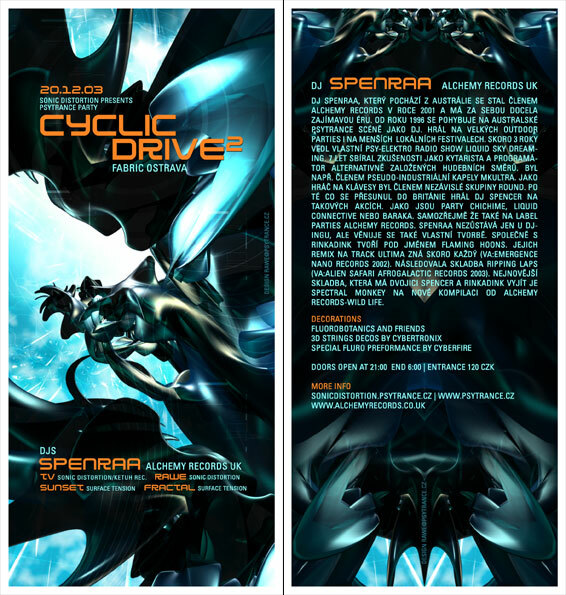 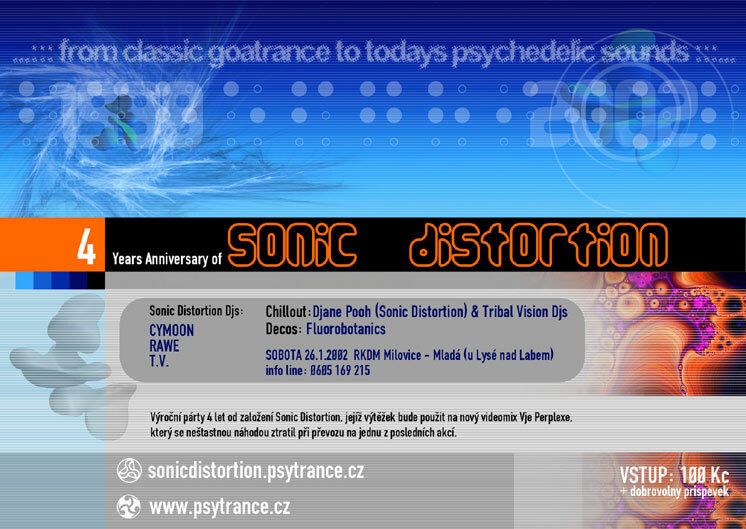 Sonic Distortion was a psychedelic trance crew from Czech republic djing and organizing psytrance parties from 1998 to 2006. 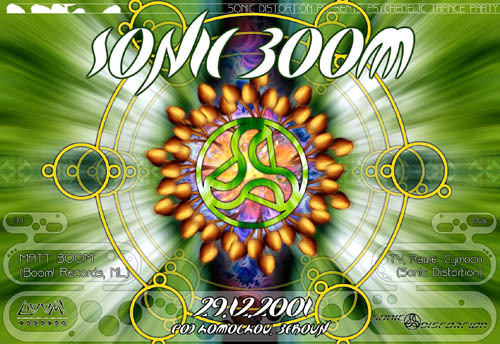 Protivin 200.2 with Quadra, Metronome & dj Matt Boom! 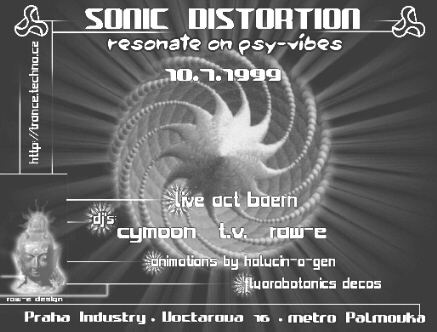 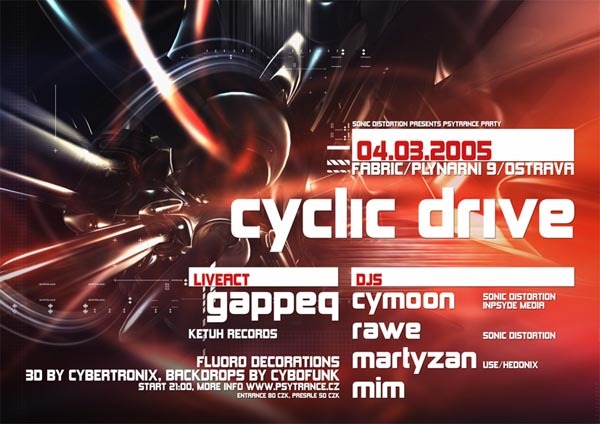 06.05.2000 Goa Fusion DK Pobedim, SK Matt Boom! 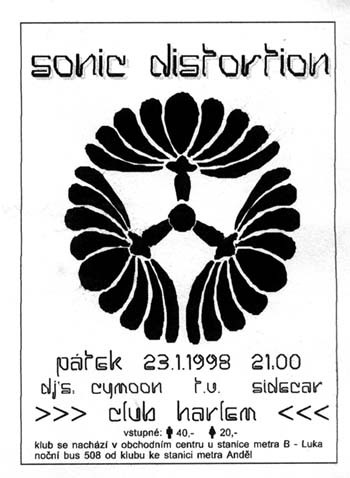 10.12.2005 TV @ L'Oxy Cross Cross Club, Prague, CZ ParaHalu, Alex Droid Oxygen recs. 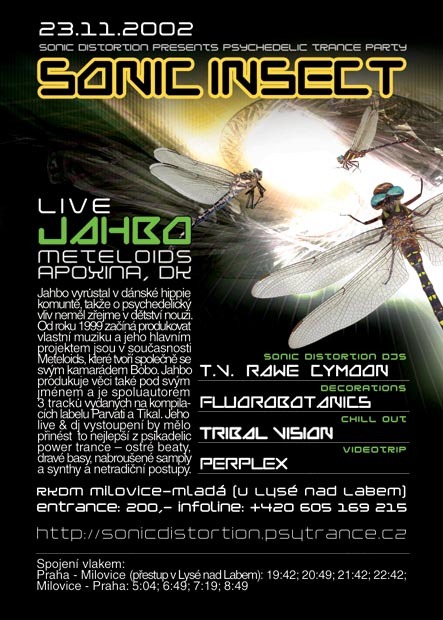 15.10.2005 TV & Cymoon @ L'OxyCross Cross Club, Prague, CZ Membrana Oxygen recs.